James Smithson was a English scientist who died in 1829 and gave $500,000 to the government. Smithson wanted the government to build a museum. John C. Calhoun and Congress didn't want to take the gift, but John Quincy Adams thought it was a good idea. The money was sent to Smithson's nephew, so Congress had time to think about what they wanted to do. Congress and John Adams would argue and argue until Adams convinced Congress it was an great opportunity. So they decided to build museum called The Smithsonian in memory of James Smithson. The nephew died in 1838 so all the money went to the government. The Smithsonian was founded in 1846 and was built in the National Mall. Today, The Smithsonian holds 15 museums and 1 national zoo. 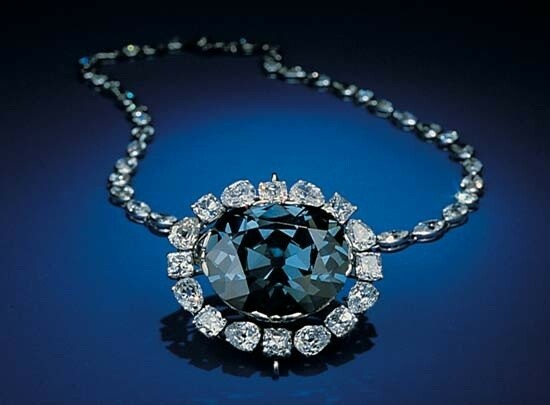 45.5 karats are in the Hope Diamond. Smithson's father was the Duke of Northumberland. The Ruby Slippers worn by Judy Garland in the Wizard of Oz is also held in The Smithsonian. Fradin, Dennis B. "Washington D.C." Danbury, CT: Childrens Press. 1992. "Smithsonian Institution." Britannica School. Encyclopedia Britannica, Inc. 2014.